Tranzfuser 2018 is now closed. The information provided below is for reference only. A total of 18 graduate teams were selected to take part in this year’s competition. Mujo Games is a small team based in York. Taking advantage of the interactivity that makes video games unique, we hope to create curious, engaging titles that are accessible to a wide range of players. Having worked together on a variety of projects for the last three years, we aim to develop our first commercial release. In Yellow Rock Road you play as a failing band who stumble across a van which can travel through time. It’s not too bad on roads either. Featuring an infinitely generating story and a rhythm game which uses your own music library, you better strap in, turn it up to eleven, and face the music because things are about to get real. Get ready for an epic journey to audition for a life changing record deal. And remember, if things don’t go your way, you can travel back in time and try again. What could possibly go wrong? OatCake Games is a studio of 6 graduates with a broad range of experience, between us we have worked on over 20 finished games projects ranging from university to AAA quality. We have multiple awards to our names for our work, and plan to use our collective knowledge to create awesome games that look great and are fun to play. CrossVector X is an action arcade flight sim with a twist, depending on the environment the perspective of gameplay will switch between third person, birds eye and side on views. Alongside over the top weapons and enemy types, the player will be challenged to keep their score multiplier as high as possible by avoiding damage whilst getting style kills and varying their play-style as much as they can to achieve the highest score and reap the best rewards they can for that season. We’re M!schief – a studio made up of 4 bright young, game jammers and devs from the University of Northampton: team leader and artistic director Andrea, core programmer Sam, artists Natalie and Li, as well, the talented sound engineer Ricky and gameplay programmer Harvey will help on our game. The synergy between the team members is incredible. We feel like a big family and we are excited to work on our biggest project ever. The core members have known each other for two years and together we’re looking to break into the industry with our varied skillsets, teamwork, and boundless passion for games. We aim to deliver an unforgettably fun cross-platform experience for gamers of all ages! Kitchen Imps is a couch co-op food fighting game where you play as tiny mischievous ‘imps’ that live in the kitchen. Aim to cause a mess and blast each other with condiments, pepperoni mines and spices. Every match is a whimsical and comical brawl, everyone has the same skills, you just need to find creative ways to knock each other out! The gameplay is not just centred on the player- the unpredictable environment and vast library of power-ups and objects will spice up the game.  Nebula Games is comprised of 6 talented students from the University of Chester, all with a shared passion for creating fun and unique experiences in games. At the head of the team is team leader and lead designer, Grant Mullock. The programming team consists of the lead programmers Ryan Lewis and Jonathon Stone, and Gameplay Programmer Callum Jones. We also have two very talented artists, our Lead Artist Abbie Hunt and our Character Artist, Daniel Stockdale. The team is very excited to get started with Tranzfuser and make our own mark on the industry with The Clockwork Rogues. The Clockwork Rogues is a Co-op, rogue-like, twin-stick shooter that combines the random and challenging aspects of the rogue-like genre with the fun and frantic gameplay of a twin-stick shooter. In steampunk Victorian London, Charles Babbage and Ada Lovelace acquired money from a man named ‘The Gentleman’ to build their Analytical Engine and create the autonomous COG twins. Hearing of his success, The Gentleman kidnapped Babbage, forcing him to create a steampunk army, in order to take control of London… It is up to you, the COG twins, to stop The Gentleman and free the people of London! Out The Window Games is a team comprised of 6 talented and enthusiastic developers situated in the University of South Wales hub. As seen in our latest title DodgeBrawl, we produce fun and accessible games that bring everyone together, only for a moment though as our games will make you question any friendship you have developed. Animal Puree blend gameplay, visuals and innocent animals with their chaotic party game, Roboats. Graduating from the Games Academy in Falmouth, the six of us have a passion for creating games that push the technical norm, while keeping a sense of humour. As winners of the Supermassive Games Award 2018, we strive to build Roboats as a sociable, accessible and technologically innovative product with long-term player-progression and boat loads of fun. Roboats is a co-op party game that combines engaging mechanics with a unique use of technology. Working in asymmetrical pairs, players will fight for victory in a flooded arena that holds up to 12 players, each taking the role of either Captain or Gunner. What sets our game apart is that no controllers are needed to join the fun, instead players use their mobile phones and tablets to command their half of the ship with the Roboats companion app. This app will also store each player’s individual progression and character customization, allowing you to keep your progress wherever you go. Deep Fried Games is an Indie Studio based in Glasgow and our main focus is on creating the most fun and unique VR Games! Our creative talents are perfectly offset by our terrible banter! Our Head Honchos are Glen Johnston and Gabe Maddaloni. Glen is our 3D Artist and Gabe is our Programmer. These guys founded DFG but have been working together since November of 2016. Our sound designer, Will Norval is a totally sound guys who make cool noises. Thomas Salga works on designing levels and growing his hair. He does a fine job. Dr. Dad, the most nefarious villain known to man, has a new plan: to rob the world of all its most valuable artefacts and he needs you, Clone 0001! Or you, Clone 0002. Or you, Clone 0003… You play as an army of disposable clones lovingly created by your artificial Father, Dr. Dad. Through gruelling trial and repeated death, you will learn to use your grappling guns, swing through life threatening courses and unnecessarily cruel tests to become a master thief and make Dr. Dad proud. Wiptail games consists of six individuals based from various locations in the UK. Within different environments, our team leader Nathan has previously worked with or met the rest of the team and felt that the individuals can offer something unique to Wiptail games. We have Sharat Sunny who is the main programmer, Elliot who is our level designer, Daniel who is the Lead Artist and Ryan and Caliyah as the team’s main sound designers. Doggo is a single player 2.5D adventure containing both puzzle and platform elements. The player controls an Alaskan malamute named Doggo. After being cruelly abandoned by his owners, Doggo undergoes a journey of self-discovery to find a true home. The players progression throughout the game will tell the story. However, strong visual and aural elements will further invest players in Doggos’tenacious tale. Darkroom Interactive is a Dundee based-video game startup, founded by graduates from Abertay University. The team was assembled through collaborations at Dare Academy 2017 and numerous Game Jams. We take a technically-minded approach to design, empowering players to create their own unique experiences. Snap Hunt is an asymmetrical multiplayer game where four human players compete to snap the best photo of a mythological creature which hunts them and is controlled by the fifth player. Experience the thrill of the hunt as you journey into the depths of the forest, and further down the rabbit hole as the greater conspiracy comes into focus. We at Steel Rose Interactive are final year students with a passion for creating narrative-driven experiences through gameplay. Our team is composed of two talented character artists, one outstanding environment artist, and a lead designer with skills in all areas of development. Having worked on several game jams and development related university modules in the past, and just having completed our final year at Sheffield Hallam, we see Tranzfusers as the prime opportunity to create a completely unique project that delivers an intriguing and emotional story through the bourgeoning medium of VR. My Big Bad Friend is a unique VR narrative-driven puzzle game featuring a main character who sees purely through sonar. The monster is starving in the depths of the woods, and must follow a young girl as she guides him deeper into the heart of the forest; where something of transcendent value lurks. Along the way, he must build up a relationship of mutual trust and dependency with the child as he protects her from the many dangers within the forest and she provides the vital guidance he needs to escape. Studio Six is a group of postgraduates from the University of Suffolk. At University we worked on a wide range of group projects, game jams, and solo projects, this allowed each of our team members to find out what we’re best at and hone those skills. Our team consists of Charlie Crewe, team leader and programmer, Ryan Manthorp, the second programmer, George Flude one of the 3d Modellers and artists, Ochuko Ideh, the second 3d modeller and artists, and finally, Alex Polley, artist and designer. Aurora is a single player mobile game for tablet that allows the player to explore their creativity within a dream world. Aurora originates from colouring by number books and is an exploration into gamifying the feeling people get from completing them. Players are introduced to an injured character who needs their help in bringing colour and life back to their dying world. Players have the freedom to choose which colours to use. Once they have helped the character bring life back to the world, the player and the character will become companions and journey to other worlds to help others. 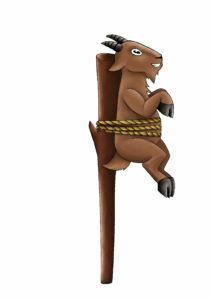 Goat On A Stick Studios is a London based game studio, newly created and brimming with ideas. Founded in 2018 by a group of 3 game development graduates from London South Bank University, we have a fantastically talented group of people from many walks of life. With skills ranging from sound design and music, game design, programming and 2D art, we hope to create fun experiences for as many people as possible. Arena of the Phoenix is a mass brawler inspired by the martial arts films of the 1970’s, where up to 50 players battle against each other with extensively customisable characters to take out their opponents and end the match on top. The game uses a simplified combo system reminiscent of Double Dragon and Streets of Rage, and with the ability to use your phone as a controller, even local matches can become huge. Arena of the Phoenix promises to be a multiplayer staple. A Puzzle platformer revolving around a world without sound or colour. A detective on a search for the lost pieces of the world. You will be figuring out puzzles and collecting colors to unlock further areas of the map, unlocking sounds to learn new facts about the world you otherwise would not have. It is up to you, the player to uncover these mysteries and explore the world of music and colour. Tiny Planet Dev team is made up of graduates from Teesside University. We are a small group consisting of two designers and Programmers Matt and Ryan, two artists Stewart and Joe and a Producer Robert. Over the years at University we have developed key skills not only in games art and design but also running a project from a concept to finalised product. We now feel ready to get out into the world and show what we can make as a studio. Tiny Planet’s debut game, Perspective, generates a rare take on the classic platformer. Transforming from a standard two-dimensional arcade side-scroller into an epic third-dimensional world at the effortless press of a button. This game uses the fundamental mechanics which enables it to present a range of alternate types of puzzles in the 2D and 3D world. The two main aspects combining Perspective together is the unique workings with the addition of a simplistic mid-Polly style that merges the 2D and 3D worlds together. This creates an extraordinary and seamless gameplay experience which is fun for all ages. Antler Studios is a group of design-focused graduates who want to make interesting games with a good mix of narrative and mechanics. We look to create great single player experiences for our players by combining our design with clean and fun gameplay. We are currently working on our largest game yet, Project Grove. Project Grove is a 3D puzzle platformer where the player controls Edric, an aging Alchemist who heads an expedition to the forest of Dacrima, to discover the secrets of the Flora that grow there. Accompanying him is his robotic companion Elppin, supplied by the mysterious corporation Potentium. Together, Edric and Elppin explore and learn new skills and abilities to manoeuvre through the environment. Samurai Duck is a group of games developer graduates that have been working together for a while and have worked together on a few different projects. We have participated in game jams as well as presenting at a few different events such as Comic con. After graduating university together, we registered the company Samurai Duck Studios making it official while we continue development on our first game Eden’s Grasp. We all have experience with making games either from our time at university or during our spare time. We are determined and ready to face any challenge. Eden’s Grasp is a 3rd person Action Adventure game based within a fantasy medieval world which is connected to a second garden world where plant life became the apex predator of that world and as the two worlds connections grew stronger they have begun an invasion into the hero’s world. The Hero is a young knight fresh out of training who has acquired the ability to traverse between these two worlds. It is up to the knight to sever the connection between these worlds before his world becomes overrun and lost forever. Gentlemen Worldwide are impassioned games graduates from the University of Huddersfield. As a multidisciplinary team of 4 with years of experience working together we are perfectly placed to infuse unique and challenging experiences into our games. A strong focus on what is and isn’t fun to play shapes our vision. ͞Doombuggies is a multiplayer arena based vehicle shooter, taking inspiration from titles old and new such as Twisted Metal and Rocket League. The player controls a buggy with interchangeable weapons, and has to use their skills to best other players in an all-out buggy brawl! Coffee Box Games is a Belfast based studio that formed in 2015, with students from Queens and the University of Ulster as their placement. We work on a variety of projects, in different genres, and are connected to the YouTube channel, BellularGaming. Our team have their fingers in many different creative pies. Animators, artists, programmers, playwrights and the commentator for professional wrestling ulster. We love video games and want to help grow the industry here in Northern Ireland. Our Game Is a 2D rogue lite action RPG where each ‘run’, the player designs and crafts a giant mech to send out in glorious ritualistic sacrifice across the land to fight monsters and unlock new mech components. Most of them will die. Some will make new homes in the hostile wastes to support the next generation of fighters. A rare few will carve their way to the cosmic heart of this corruption, earning their place in the ring of combat to decide the fate of this desolate rock. We’ve chosen the genre based on our current teams’ skills, squeezing as much quality content out of that into this game.